Southwest Eye Care and Laser offers premium intraocular lenses (IOLs) that can provide focus at a range of distances following cataract surgery. Although premium lenses may not grant patients complete freedom from corrective eyewear, they can minimize dependency, which can provide a wealth of important benefits. To learn more about how you can benefit from premium IOLs, please reach out to our Bakersfield, CA, practice today and schedule an appointment. The crystalline lens complements the cornea to help properly focus light onto the retina, the light-sensitive tissue on the back inner surface of the eye. As cataracts grow over time, they gradually compromise the amount of light that reaches the retina until vision is completely obscured. Currently, surgery is the only cure for cataracts disease. Cataract surgery involves removing the clouded crystalline lens and replacing it with an IOL. IOLs are made of silicone or acrylic, and they are about one-third the size of a dime. Standard IOLs are monofocal, meaning they can only provide focus at a single distance, so recipients must continue to wear glasses in order to read or drive. However, thanks to advances in technology, patients now have access to premium multifocal and toric types of IOLs. In addition to offering standard IOLs at Southwest Eye Care and Laser, we also offer premium options that can help you achieve focus at a range of distances with a reduced or eliminated need for corrective eyewear. AcrySof® IQ ReSTOR® and TECNIS® multifocal IOLs have about a 90 percent satisfaction rate among patients. In addition, we also offer AcrySof® IQ Toric and TECNIS® Toric IOLs, which are specially designed to provide multifocal vision for patients with astigmatism. During your consultation at Southwest Eye Care and Laser, we can discuss the costs and benefits of each of these advanced models. We will take all the time needed to answer your questions and help you make an informed decision. 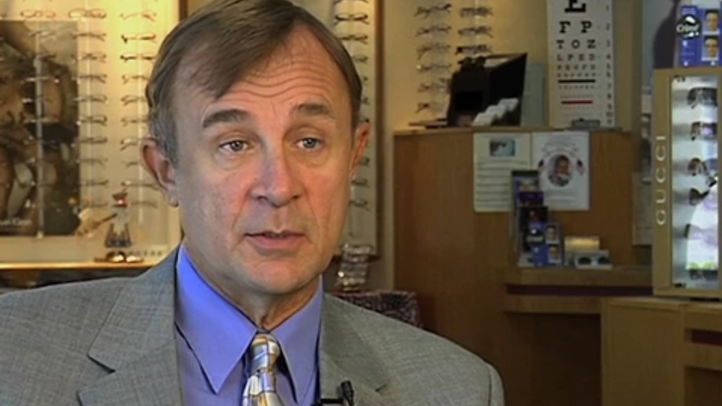 Although insurance rarely covers the cost of premium IOLs, many patients agree that the increased independence from corrective eyewear more than justifies the cost. Vision is integral to your quality of life. Many patients find that if they can read the bedside clock in the morning, take a drive without their glasses, or enjoy the sight of an outdoor vista with their own eyes, these benefits enhance the quality and ease of life. If you are concerned about the out-of-pocket expense of IOLs, our staff will be glad to discuss financing options. We work with a company that provides no-interest and extended repayment plans to place the cost of premium IOLs comfortably within your budget. If you are in need of cataract surgery, contact us today to learn more about our advanced approach to the procedure, and the premium options we offer in IOLs. During our comprehensive exam, we will answer all of your questions and help you start planning a more clearly focused future.